Invest in happy employees and staff with a fun company sports party! We all know the story. Your team just did an amazing job completing the BIG new project, and your boss wants you to create a fun event or party to celebrate. You took a crack at putting it all together yourself, but realized between rules, gear, umpires, schedules, and time, that you can use some help and some fresh ideas. Let 25AndOlder’s FunCorp Division and experienced staff take care of everything for your company sports party. Who knows, with our team of Fun Ambassadors on the case, you might actually get to enjoy the staff party this year instead of worrying about it. 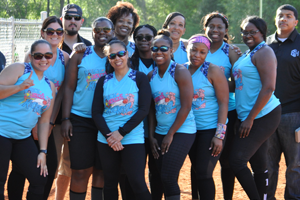 South Fulton is an amazing place for active office cultures and participating in sports leagues provide an amazing wellness opportunity! 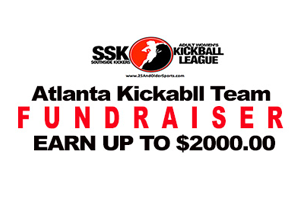 Whether your office would like to sign up just one team or you’re ready to fill an entire league or anything in between 25AndOlder Sports has got your bases covered. We make signing up teams for corporations a seamless and customized process that takes all of the work out of your hands! We also cater our payment options to what works for your office so it’s easier to get those teams on the field. 1. Sign up a single team or multiple teams to join an existing league. 2. Form a league made entirely of teams from your company, clients or both. 3. Form an industry league of like-minded professions to take home bragging rights! Sports are a great way to engage the office, elevate the level of fun and build camaraderie among your team. 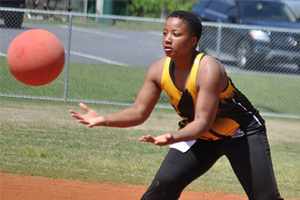 If your office can’t commit to a season, let 25AndOlder Sports put together a one-day or weekend tournament to find that balance of work and play! We can put together a Monday afternoon beach volleyball tournament, Friday night kickball tournament, or all weekend softball showdown. Groups of all sizes are welcome! Corporate events were meant to be fun, and our events are nothing but a good time! Whether your company wants to treat 8 employees to an afternoon of bubble soccer and pizza, 50 employees to a scavenger hunt, or 4,000 employees and family members to an all-day company picnic, 25AndOlder Sports can create an unforgettable customized event for any size group. 25AndOlder Sports offers corporate event planning and execution for any type of event, contact us now to energize your office! 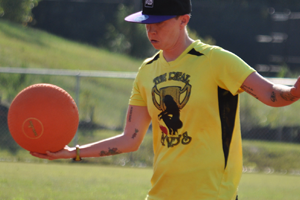 Please contact our CPR “Chief Party Rocka” Arnold Jiggetts: 25AndOlderKickball@gmail.com or give us a call 770-629-7750 to get your league, tournament, or event started!